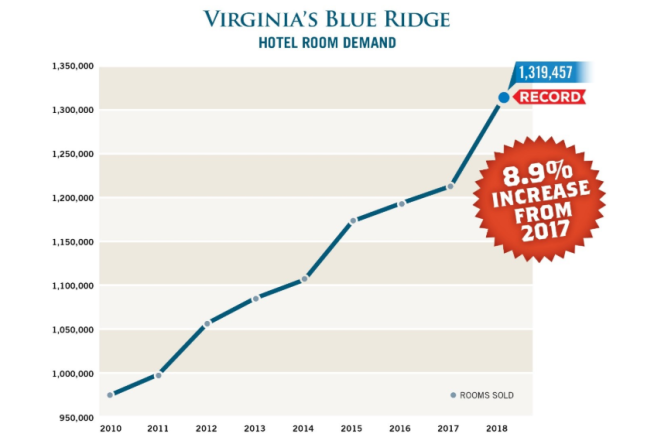 Virginia’s Blue Ridge lodging industry experienced a RECORD 8.9% increase in hotel room demand during calendar year 2018, resulting in approximately 1.3 million rooms sold. 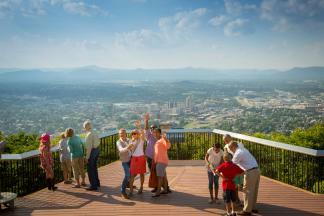 In fact, Virginia’s Blue Ridge recorded the highest percentage of growth for room demand in Virginia, according to STR, Inc. Room revenue grew by a RECORD $7.5 million in 2018, totaling $112 million, an astounding 7.9% increase over 2017. A record number of sporting events and meetings attributed to this significant growth in 2018.